It’s easy to think of client satisfaction as something that only comes into play when the job is done. But remodeling is a process, and so is client satisfaction, and happy clients help you increase your home improvement business opportunities through referrals and repeat business. 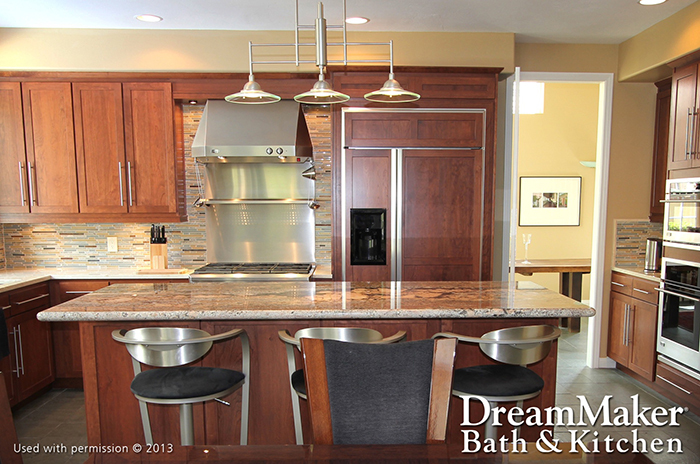 With a DreamMaker® Bath and Kitchen franchise, we can help you make your clients smile through every step. Marketing, systematic operations and word-of-mouth from existing clients are just some of the ways our franchise can help you increase your home improvement business opportunities. Marketing is the first step in satisfying your clients, because it shows them your potential. It shows them how you can fulfill the dreams they have for their home, or even show them new ideas they hadn’t thought about. Our franchisees leverage our marketing resources and use a number of avenues to get the message out about DreamMaker® Bath and Kitchen, including social media, in-person events and traditional advertising. Our franchise staff can help you decide which methods provide the most return for your location, and we’ll supply marketing materials so you don’t have to start from scratch. Whether you’re looking at starting a home improvement business or converting an existing one, our franchise systems help you provide better service to your clients. We can help you streamline the way your business runs and help you increase your margins through operational efficiency, vendor discounts and other advantages. Our systematic approach makes it easier to run the business and earn more. It’s a selling point for clients, because it makes everything easier for them as well. Our franchise’s systematic process is a great selling point to prospective clients. 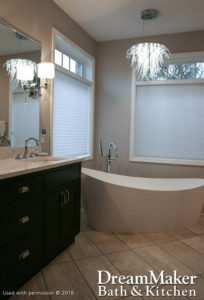 When the job is done and the client has a sparkling new remodel in the home, the relationship often continues through client referrals and repeat business for other rooms. Kind words from a satisfied client can be one of the most effective ways to earn new business. For in-depth details about DreamMaker® Bath and Kitchen home improvement business opportunities, download our free franchise report and start a conversation with us. You also can learn more by visiting our research pages.